Easily manage your staff schedules from anywhere. Simply drag jobs onto the desired time and staff member and they'll be instantly notified of their updated schedule. 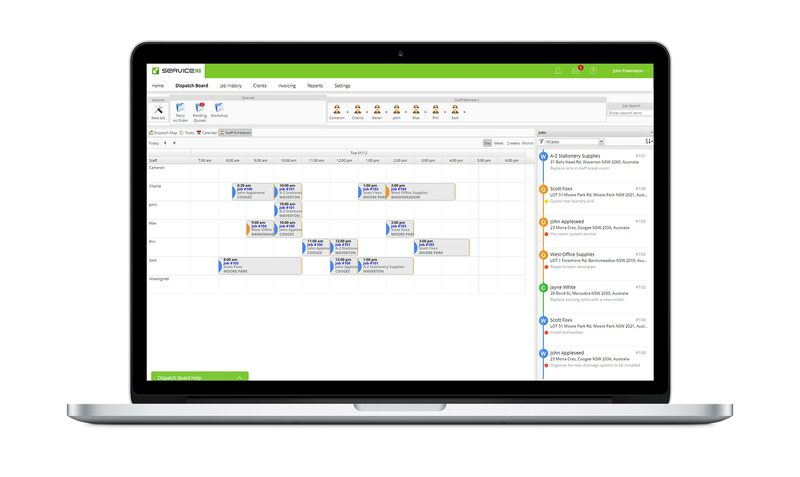 See the entire staff and job schedule in a single view. 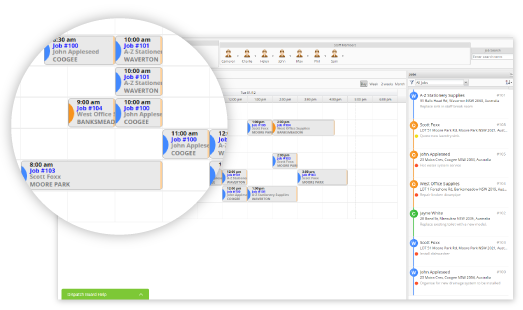 Simply drag jobs onto the scheduled time and staff member of choice. No more whiteboards. No more diaries. Simple, modern job scheduling. Quickly view the status and location of all field staff to make smart and fast dispatch decisions for urgent jobs. 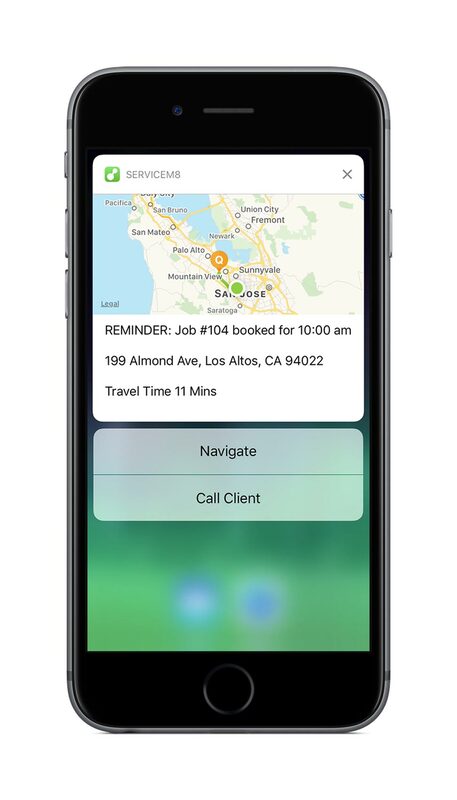 Dispatch it to the closest available staff member and they'll be instantly notified, receive all job details, and be on their way in no time. 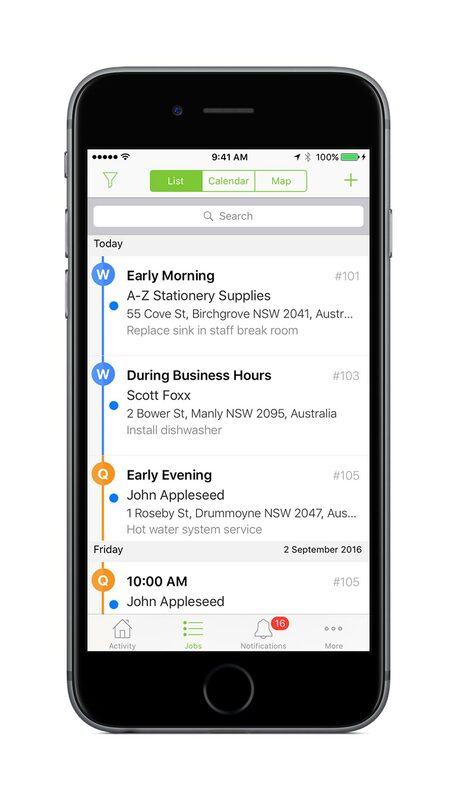 Employees are instantly notified of any changes to their schedule via their devices. 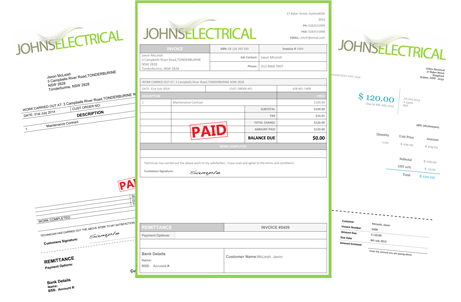 Simple and efficient communication with field staff which also gives more flexibility around daily job scheduling. 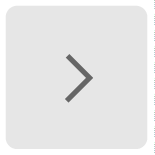 Allocate jobs to a booking window rather than a specific time. A more flexible way of working where an exact booking time is not a requirement. No matter where they are, all staff in the business can view their schedules and job information. 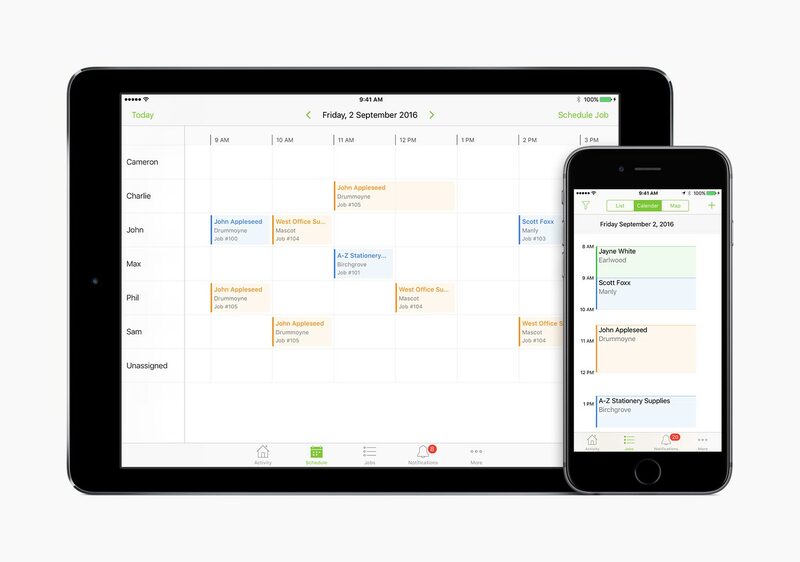 With iPad, management can view and manage staff schedules in the field . 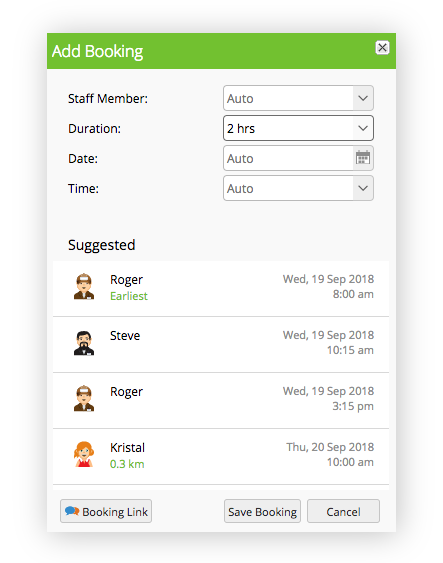 ServiceM8 supports the import of external calendar appointments from Google Calendar, Office 365 or other iCal-compatible calendars, for each staff member. Times booked out in their external calendars will show them as ‘Busy’ in the ServiceM8 dispatch board. Coordinating booking times with clients can be a time-consuming process, with a lot of back-and-forth. 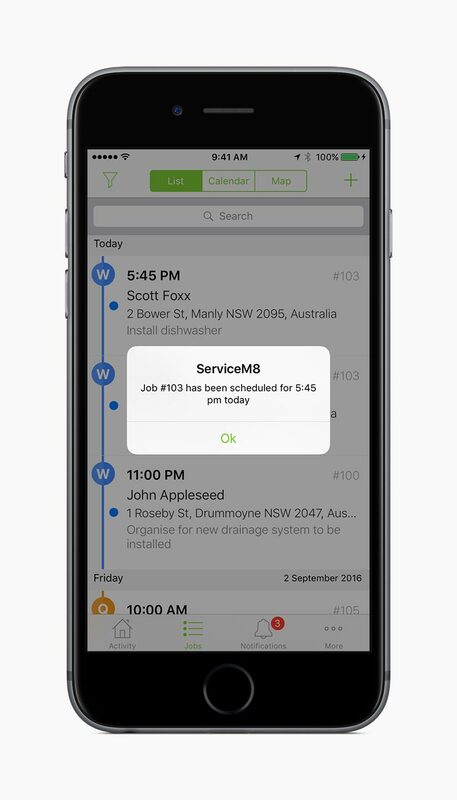 With ServiceM8's SMS Booking Links, you can text clients a unique booking URL where they can choose & confirm an available booking time.